The first step in research on “just environments,” writes Julie Sze, is to name the sources of the problems at the root of the poverty/injustice/environment nexus, rather than their impacts alone. By revisiting the history of the terms environmental racism, environmental justice/injustice, and environmental inequality, Sze demonstrates how the specificity of each term led to different research questions and approaches. In order to align public understanding of environmental problems and possible “solutions,” Sze argues that scholars must clarify the roots of environmental problems―for instance, racism, capitalism, and colonialism. Current public knowledge of the standoff at Standing Rock and the mass lead poisoning in Flint, Michigan, is high—a shift welcomed by environmental justice scholars and social movement organizations that have articulated how race, indigeneity, poverty, and environmental inequality are linked for well over three decades. The “Just Environments” series asks scholars and the public to better understand how intersections between poverty and environmental inequality persist. The Social Science Research Council has done important work in this regard, such as its 2006 “Understanding Katrina: Perspectives from the Social Sciences” series in which scholars identified how race, toxicity, privatization, deregulation, and rampant wetland destruction/suburban development formed a “toxic brew” that magnified Katrina’s impact on its poorest and most vulnerable victims. As a historical and analytic exercise, the question is: How have environmental problems gotten worse, given the depth and quality of environmental research? The question that remains is not, Are environmental and social inequality linked? but, Why and how does the link seem unbreakable? The role of social science research, if indeed focused on remediating problems of inequality, environmental and otherwise, has to do a much better job of naming the roots of these problems.1For example, in the case of Hurricane Harvey, the political stakes of climate change denial and privatization with the environmental impacts of climate change collide spectacularly. On land use development, see Ana Campoy and David Yanofsky, “Houston’s Flooding Shows What Happens When You Ignore Science and Let Developers Run Rampant” (Aug. 29, 2017). On toxicity in Houston, see Emily Atkin, “There’s an ‘Unbearable’ Chemical Smell Hovering Over Parts of Houston, and Experts Are Worried” (Aug. 28, 2017). On climate change and Harvey, see German Lopez, “How Global Warming Likely Made Harvey Much Worse, Explained by a Climatologist” (Aug. 28, 2017). On deregulating flood control, see Henry Grabar, “Right Before Harvey, Trump Nixed a Rule Designed to Protect Cities From Flood Risks” (Aug. 28, 2017). On the funding and politics of disaster relief, see Matt Fuller and Kaeli Subberwal, “Hurricane Harvey and the Potential Hypocrisy of Texas Republicans” (Aug. 28, 2017). This contribution suggests that scholars need a better handle on the concepts and terms we use in our research on just environments in order to better align public understanding of these problems with possible “solutions.” To do so, scholars need to clarify their ideological, discursive, and interdisciplinary contexts in their research. Foremost, naming the sources of the problems at the root of the poverty/injustice/environmental nexus, rather than their impacts alone, is an important first step. Simply put, sustainability “solutionism” without diagnosis is empty and reinforces the status quo. There are many examples of this problem. It can be seen, for example, in the move to “eco-cities” in politically authoritarian regimes that are hypercapitalistic. In my most recent book, I wrote about a failed zero-waste, carbon-neutral city proposed near Shanghai.2 University of California Press, 2015More Info → In the United States and in Europe, the vibrant research on “green gentrification” explores the contradictions of urban growth coalitions that seek to both “green” and “grow” cities.3→Isabelle Anguelowski, “From Toxic Sites to Parks as (Green) LULUs? New Challenges of Inequity, Privilege, Gentrification, and Exclusion for Urban Environmental Justice,” Journal of Planning Literature 31, no. 1 (2015): 23–36. →Melissa Checker, “Wiped Out by the ‘Greenwave’: Environmental Gentrification and the Paradoxical Politics of Urban Sustainability,” City & Society 23, no. 2 (2011): 210–229. Erik Swygnedouw explores how the fusion of a harmonious “Nature” (with a capital “N”) and a technocratic optimism is a central feature of mainstream sustainability discourse. He argues that sustainability is often defined by experts as a technical and managerial problem. It becomes what he calls “postpolitical,” frustrating political discussion and therefore the possibility of radical socio-environmental change.4See also Miriam Greenberg, “What on Earth is Sustainable?” Boom: A Journal of California 3, no. 4 (2013): 54–66, and Lindsey Dillon and Julie Sze, “Equality in the Air We Breathe: Police Violence, Pollution, and the Politics of Sustainability,” in Sustainability: Approaches to Environmental Justice and Social Power, ed. Julie Sze (NYU Press, 2018). In Kenneth Gould and Tammy Lewis’s recent book, Green Gentrification: Urban Sustainability and the Struggle for Environmental Justice, they analyze how “greening” projects and politics trigger gentrification by looking at empirical case studies from four different Brooklyn neighborhoods. So, what are the problems that need explicit articulation? My starting point is, simply, that research on just environments is not neutral. It needs to be rigorous and empirical. The causes of unjust environments are multiple: racism, capitalism, militarism, colonialism and land theft of Native peoples, and gender violence.5 London: Routledge, 2017More Info → To better shape a deeper engagement with these issues, we need entirely different conversations and approaches that incorporate history, diverse cultural traditions, and complexity in relation to race, class, indigeneity, and gender. Through these conversations, we can help shape better and more robust solutions to the world’s most pressing problems. In a forthcoming edited collection, Sustainability: Approaches to Environmental Justice and Social Power,6 NYU Press, 2018More Info →. I argue that social justice and interdisciplinarity need to form the core of research on sustainability. Using interdisciplinary case studies that highlight how social justice and sustainability are linked, I revisit the earliest debates in the field about the relationship between environmental justice scholarship and activism. There is a history to naming environmental problems, and it’s worth revisiting that history. For instance, take the debates about the “naming” of the problem that led to the explosion of environmental justice research. From its earliest incarnations, the terms environmental racism, environmental justice/injustice, and environmental inequality have connoted different mechanisms, histories, and politics. Nationally, the US-based environmental justice movement emerged in the 1980s as a result of events and reports that brought the terms environmental racism and environmental justice into the public sphere and policy discourses. Reports that documented the “unequal protection” from environmental pollution by local, state, and national regulatory agencies, highlighting disparities faced by minority communities, led to new policy formations that varied in their success and impact.7 Cambridge, MA: The MIT Press, 2015More Info → Through these events and reports, environmental racism came to describe the disproportionate effects of environmental pollution on racial minorities, while environmental justice became the name of the social movement that emerged in response to this problem. Environmental justice also addresses the movement for environmental amenities (food, parks, etc.). Environmental inequality is the preferred term in social science research, particularly in the quantitative social sciences. Environmental inequality has emerged more recently to encompass additional factors that are associated with disproportionate environmental impacts such as class, gender, and immigration status, as well as the interconnections between these factors.8David N. Pellow, “ Environmental Inequality Formation,” American Behavioral Scientist 43 (2000): 581–601. Contemporary environmental justice struggles in the United States exist within histories of mainstream environmentalism, the civil rights movement,9For a discussion of the links between civil rights movements and environmental justice, see Congressman John Lewis, foreword to Unequal Protection: Environmental Justice and Communities of Color, ed. Robert D. Bullard (San Francisco: Sierra Club Books, 1994); Benjamin F. Chavis, Jr., preface to Unequal Protection: Environmental Justice and Communities of Color, ed. Robert D. Bullard (San Francisco: Sierra Club Books, 1994); Robert D. Bullard, introduction to Unequal Protection: Environmental Justice and Communities of Color, (San Francisco: Sierra Club Books, 1994); and Robert D. Bullard, ed., Confronting Environmental Racism: Voices from the Grassroots (Boston, MA: South End Press, 1993). and global resource exploitation inflected through the prism of race and racism. Various early scholars emphasized theory and practice to answer key questions: What is environmental justice? Is it unique to communities of color? How are environmental injustices linked to other struggles? At the core of these questions is the distinction between environmental justice and environmental racism. This debate can be revisited through a comparison of two early groundbreaking edited collections: Richard Hofrichter’s Toxic Struggles: The Theory and Practice of Environmental Justice10 Philadelphia: New Society Publishers, 1993More Info → and Robert Bullard’s Confronting Environmental Racism: Voices from the Grassroots. Hofrichter gives equal weight to practice and activism, while Bullard provides quantitative analysis of environmental racism.11Bullard also wrote an important work on race, toxic sites, and Houston in Invisible Houston: The Black Experience in Boom and Bust (College Station, TX: Texas A&M University Press, 1987). Whereas Bullard focuses on negotiating the role of race and communities of color in environmental conditions (and race in relation to class, gender, and other systems of exploitation), Toxic Struggles focuses primarily on environmental justice—rather than environmental justice in the context of environmental racism. This decentering of race is evident in Lois Gibbs’s foreword and Richard Hofrichter’s introduction to Toxic Struggles. According to Hofrichter, “Environmental injustices are a result, in part, from a lack of political power.”12Hofrichter, Toxic Struggles, 4. By naming environmental injustices rather than environmental racism, Hofrichter deemphasizes how environmental injustices are racialized in the United States, reflecting a desire to connect racial struggles with general struggles for grassroots democracy. Toxic Struggles and Confronting Environmental Racism thus place race, racism, and communities of color in different positions when discussing environmental justice. The former’s positioning of environmental justice creates both problems and opportunities. It omits the community specificity found in Bullard’s Confronting Environmental Racism. There is no single essay on any struggle/campaign in a community of color. Yet Toxic Struggles succeeds in providing important contextual frameworks de-emphasized in Bullard’s work—namely, a critique of capitalism—that enable one to understand and theorize environmental justice. By examining environmental racism as one among different systems of exploitation, the essays in Toxic Struggles theorize environmental justice within capitalism and the labor movement, ecofeminism, and militarism.13See Daniel Faber and James O’Connor, “Capitalism and the Crisis of Environmentalism”; Mary Mellor, “Building a New Vision: Feminist, Green Socialism”; Joni Seager, “Creating a Culture of Destruction: Gender, Militarism, and the Environment”; Eric Mann, “Labor’s Environmental Agenda in the New Corporate Climate” in Hofrichter, Toxic Struggles. 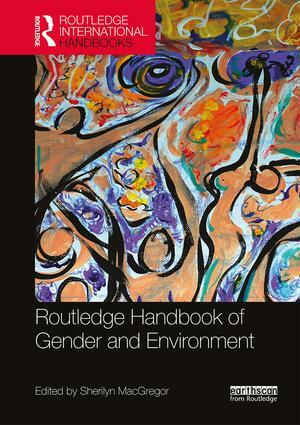 The qualitative and theoretical work on environmental inequalities, injustices, and racism also take gender as a crucial part of intersectional analyses, situating the production and experiences of environmental inequalities, injustices, and racism as interconnected problems. Environmental justice scholarship also expanded from its US-based framework, as scholarship focused on global issues and the expansion of neoliberalism and privatization across the world. In the last two decades, specifically in reference to climate change, environmental justice as an activist analytic has both broadened and deepened. Part of this shift is pragmatic: in climate change, the disproportionality of who made the problem (the global developed world) and who bears the worst impacts (the global South) are abundantly clear. Scholarship from fields such as world history situates the current problems. For example, historian Dipesh Chakrabarty examines the limits of dominant paradigms of the Anthropocene from the standpoint of colonial history in his seminal work, “Climate and Capital: On Conjoined Histories.”14Dipesh Chakrabarty, “Climate and Capital: On Conjoined Histories,” Critical Inquiry 41, no. 1 (Autumn 2014): 1–23. We are in a precarious environmental and political moment. Climate denialism is politically powerful in the United States, and we are also the academic home of cutting-edge environmental research. These coexisting conditions are not contradictions: they reflect many problems, of which the neutral stance “science-is-best/truth” is ineffective, because it refuses to be explicit about its ideological perspective and conclusions. The vast majority of sustainability science and a large amount of environmental justice research do not address the fundamental political conditions that set the parameters for why and how vulnerability (environmental or otherwise) is disproportionately distributed, one of the key questions in environmental justice research. Recent work from environmental justice scholars on Flint by David Pellow and Laura Pulido take aim squarely at this question of politics.15→David N. Pellow, “Toward a Critical Environmental Justice Studies: Black Lives Matter as an Environmental Justice Challenge,” Du Bois Review 13, no. 2 (October 2016): 221–236. →Laura Pulido, “Flint, Environmental Racism, and Racial Capitalism,” Capitalism, Nature, Socialism 27, no. 3 (2016): 1–16. Both critique the state-centered approach of reformist environmental justice analysis—Pellow through “critical environmental justice studies” and Pulido by offering a critique of normative policy. To this end, Pulido argues that environmental injustice must be analyzed from a framework of racial capitalism. Borrowing the term from Cedric Robinson, who argued in 1983 that racism was a structuring logic of capitalism, Pulido maintains that environmental racism is “state-sanctioned” violence. Activists are also making important connections. In a forthcoming piece I wrote with a leading community climate justice leader, we explain how activists on the ground are connecting climate justice with racial/police violence and gentrification.16Julie Sze and Elizabeth Yeampierre, “Towards a Just Transition: Climate Justice, Development and Community Resilience” in Just Green Enough: Contesting Environmental Gentrification, eds. Trina Hamilton and Winifred Curren (Routledge, forthcoming). We discuss how climate adaption is not just a technical and economic project, but a community-based economic development strategy. Without a racial justice perspective at the center, climate adaption and economic development initiatives are likely to reenact policy violence, specifically through reinforcing market fundamentalist approaches to space and accelerating the displacement of working class neighborhoods and communities of color. “Just Environmental” research needs to take sides in the moment we live in. The first step is naming the problems—racism, capitalism, and colonialism—rather than assuming a seemingly neutral ideology that reinforces existing systems of hierarchy, violence, and theft. For example, in the case of Hurricane Harvey, the political stakes of climate change denial and privatization with the environmental impacts of climate change collide spectacularly. On land use development, see Ana Campoy and David Yanofsky, “Houston’s Flooding Shows What Happens When You Ignore Science and Let Developers Run Rampant” (Aug. 29, 2017). On toxicity in Houston, see Emily Atkin, “There’s an ‘Unbearable’ Chemical Smell Hovering Over Parts of Houston, and Experts Are Worried” (Aug. 28, 2017). On climate change and Harvey, see German Lopez, “How Global Warming Likely Made Harvey Much Worse, Explained by a Climatologist” (Aug. 28, 2017). On deregulating flood control, see Henry Grabar, “Right Before Harvey, Trump Nixed a Rule Designed to Protect Cities From Flood Risks” (Aug. 28, 2017). On the funding and politics of disaster relief, see Matt Fuller and Kaeli Subberwal, “Hurricane Harvey and the Potential Hypocrisy of Texas Republicans” (Aug. 28, 2017). →Isabelle Anguelowski, “From Toxic Sites to Parks as (Green) LULUs? New Challenges of Inequity, Privilege, Gentrification, and Exclusion for Urban Environmental Justice,” Journal of Planning Literature 31, no. 1 (2015): 23–36. →Melissa Checker, “Wiped Out by the ‘Greenwave’: Environmental Gentrification and the Paradoxical Politics of Urban Sustainability,” City & Society 23, no. 2 (2011): 210–229. See also Miriam Greenberg, “What on Earth is Sustainable?” Boom: A Journal of California 3, no. 4 (2013): 54–66, and Lindsey Dillon and Julie Sze, “Equality in the Air We Breathe: Police Violence, Pollution, and the Politics of Sustainability,” in Sustainability: Approaches to Environmental Justice and Social Power, ed. Julie Sze (NYU Press, 2018). NYU Press, 2018More Info →. David N. Pellow, “ Environmental Inequality Formation,” American Behavioral Scientist 43 (2000): 581–601. 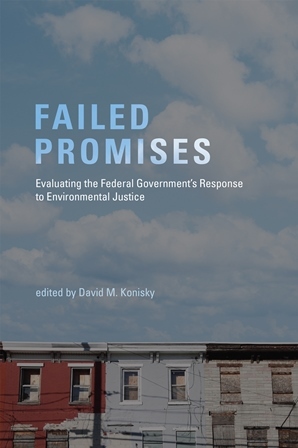 For a discussion of the links between civil rights movements and environmental justice, see Congressman John Lewis, foreword to Unequal Protection: Environmental Justice and Communities of Color, ed. Robert D. Bullard (San Francisco: Sierra Club Books, 1994); Benjamin F. Chavis, Jr., preface to Unequal Protection: Environmental Justice and Communities of Color, ed. Robert D. Bullard (San Francisco: Sierra Club Books, 1994); Robert D. Bullard, introduction to Unequal Protection: Environmental Justice and Communities of Color, (San Francisco: Sierra Club Books, 1994); and Robert D. Bullard, ed., Confronting Environmental Racism: Voices from the Grassroots (Boston, MA: South End Press, 1993). Bullard also wrote an important work on race, toxic sites, and Houston in Invisible Houston: The Black Experience in Boom and Bust (College Station, TX: Texas A&M University Press, 1987). See Daniel Faber and James O’Connor, “Capitalism and the Crisis of Environmentalism”; Mary Mellor, “Building a New Vision: Feminist, Green Socialism”; Joni Seager, “Creating a Culture of Destruction: Gender, Militarism, and the Environment”; Eric Mann, “Labor’s Environmental Agenda in the New Corporate Climate” in Hofrichter, Toxic Struggles. Dipesh Chakrabarty, “Climate and Capital: On Conjoined Histories,” Critical Inquiry 41, no. 1 (Autumn 2014): 1–23. →David N. Pellow, “Toward a Critical Environmental Justice Studies: Black Lives Matter as an Environmental Justice Challenge,” Du Bois Review 13, no. 2 (October 2016): 221–236. →Laura Pulido, “Flint, Environmental Racism, and Racial Capitalism,” Capitalism, Nature, Socialism 27, no. 3 (2016): 1–16. Julie Sze and Elizabeth Yeampierre, “Towards a Just Transition: Climate Justice, Development and Community Resilience” in Just Green Enough: Contesting Environmental Gentrification, eds. Trina Hamilton and Winifred Curren (Routledge, forthcoming). Julie Sze is professor of American studies at the University of California, Davis. She is also the founding director of the Environmental Justice Project for UC Davis’ John Muir Institute for the Environment. She received her doctorate from New York University in American studies. Sze's research investigates environmental justice and environmental inequality; culture and environment; race, gender, and power; and urban/community health and activism and has been funded by the Ford Foundation, the American Studies Association, and the UC Humanities Research Institute. Sze’s book, Noxious New York: The Racial Politics of Urban Health and Environmental Justice (The MIT Press, 2006), won the 2008 John Hope Franklin Publication Prize, awarded annually to the best published book in American studies. 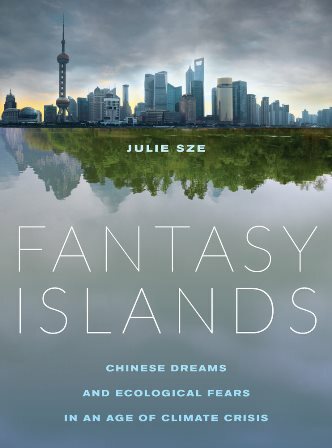 Her second book is called Fantasy Islands: Chinese Dreams and Ecological Fears in an Age of Climate Crisis (University of California Press, 2015). 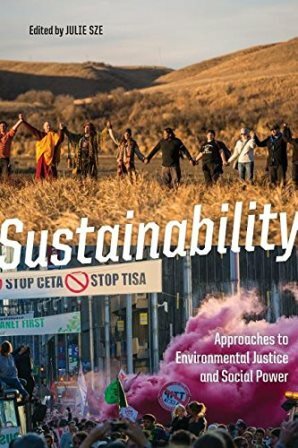 She edited Sustainability: Approaches to Environmental Justice and Social Power (NYU Press), which will be available in July 2018. She has written or coauthored 40 peer-reviewed articles and book chapters and has given talks in China, Abu Dhabi, Canada, Germany, France, and Italy.